Jurassic World, the fourth installment on the blockbuster Jurassic Park franchise, opens Friday. Back in 1993, Academy Award winner Steven Spielberg directed the first film, which took the world by storm and the critics raved. While the next two films were box-office hits, they failed to reach the creative heights of the original. Things may change, however, with the anticipated release of Jurassic World. 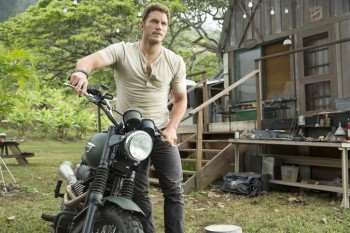 Lead actor Chris Pratt says the film honors the 1993 classic Spielberg film and adds that Jurassic World adds a new flavor that audiences will like.